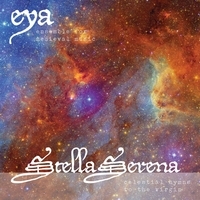 Stella Serena: Celestial Hymns to the Virgin © Copyright - Eya: Ensemble for Medieval Music / Eya: Ensemble for Medieval Music (888295035927) Award-winning women's vocal ensemble presenting medieval music with impeccable vocal quality, deep spirit, and smarts. The second of this series of new American choral music from the Washington national Cathedral features the popular composer Stephen Caracciolo, whose works have been performed and broadcast by many groups nationwide, including Cantus. This is also the first recording of an elite new choral ensemble, Cathedra, based at the National Cathedral directed by Michael McCarthy. Composer William Bradley Roberts is well known in Episcopal Church circles for his tuneful melodies and popular liturgical music. The choir of St John's Church is featured in this first recording a series from the Washington National Cathedral which features new American choral music. Gary Davison has found favor with performers, critics and audiences alike for the idiomatic expression and freshness of voice in his writing. He has earned recognition as one of North America’s leading composers in the refined Anglican choral tradition. 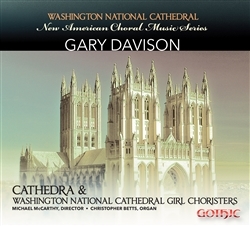 Performed by the professional choir Cathedra (Michael McCarthy, director) and the Washington National Cathedral Girls Choir, this release is the fourth in the acclaimed series, “New American Choral Music” from the Washington National Cathedral. 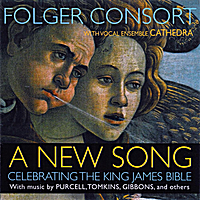 A New Song: Celebrating The King James Bible by Folger Consort & Cathedra © Copyright - Folger Consort / Bard (884501645430) Download $9.99 CD $15.00 Musical settings of biblical verse and other sacred works by Purcell, Gibbons, Blow and others are complemented by instrumental fantasies and lively dances. 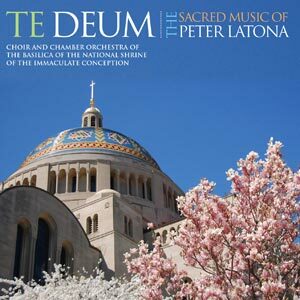 Te Deum: Sacred Music Peter Latona The uniqueness of the Shrine, in terms of size, architecture, aesthetic, liturgical style and mission demand music which fits all of these elements. The works on this CD, composed over the past 18 years, were conceived specifically for the Basilica. 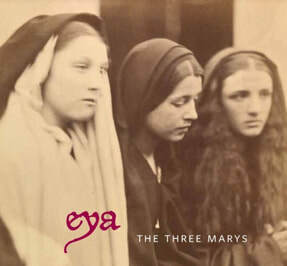 From poignant psalms, festive hymns, solemn acclamations and evocative settings of the propers, the music seeks to create a powerful experience for those who worship at the Basilica. 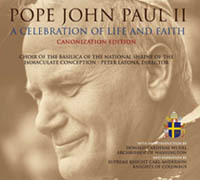 Pope John Paul II Canonization CD This recording of music and narration celebrates the life of His Holiness Pope John Paul II and introduces listeners to his faith and teaching by providing brief excerpts from many of the Holy Father's encyclicals, letters and homilies, which were selected to represent the major themes of his extraordinary pontificate. The recording opens with an introduction by His Eminence Donald Cardinal Wuerl; excerpts from John Paul II's writings are read by Carl Anderson, Supreme Knight of the Knights of Columbus. Each reading is followed by musical selections performed by the Choir of the Basilica. 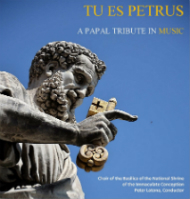 Tu Es Petrus Shrine CD . This musical tribute commemorates the papacy of Pope Benedict XVI and celebrates the beginning of the Petrine Ministry of Pope Francis. The music presented here was performed by the Choir of the Basilica during a concert at San Lorenzo in Lucina in Rome as part of a Year of Faith pilgrimage. The works selected highlight the pastoral ministry of the Successor of Saint Peter and the Vicar of Christ, a ministry rooted in the joy and hope of the Resurrection, as personified in the life and work of both Pope Emeritus Benedict XVI and Pope Francis. 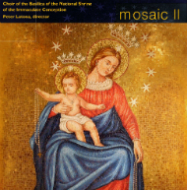 Mosaic II Shrine CD Choir of the Basilica of the National Shrine of the Immaculate Conception. 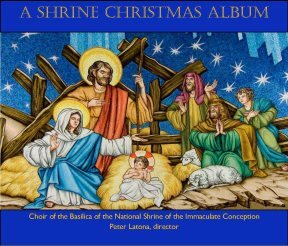 With Peace and Joy Christmas album from the National Shrine Choir, conducted by Peter Latona. A Shrine Christmas Album CD Fill your house with the joy of Christ's Incarnation with songs performed by the Choir of the Basilica of the National Shrine of the Immaculate Conception.Enjoy many of your favorite traditional hymns such as O Come, All Ye Faithful and God Rest Ye Merry Gentleman, as well as many others by such musical greats as George Frideric Handel, and J.S. Bach. The CD features many original arrangements by choir director Peter Latona. 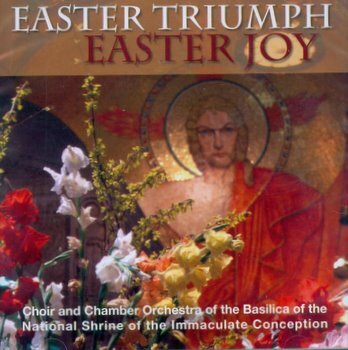 Easter Triumph, Easter Joy Celebrate Christ's triumphant Resurrection with music from the Choir and Chamber Orchestra of the Basilica of the National Shrine of the Immaculate Conception. Fill your house, car, or wherever you are with the joyous sounds of Christ's victory over sin and death.